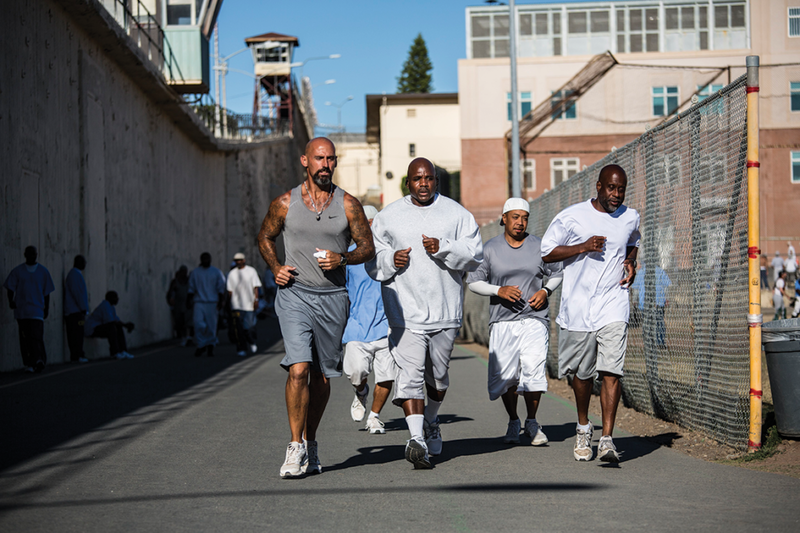 For an incarcerated American that is housed at the venerable San Quentin State Prison, the ability to be involved with sports activities is priceless. At The Q, the currently incarcerated, each weekend, have the ability to showcase their talents against members of the greater Bay Area community; from Basketball to Tennis, Soccer to Baseball, the inside and outside community play in games that are just as competitive as any game on the street. The following individuals are housed at The Q, and wanted to share their experiences of being student/athletes. Tommy Wickerd 51 years of age. Incarcerated for Assault on a Peace Officer, Assaulted With a Deadly Weapon (10yr), followed by Voluntary Manslaughter. He has currently served 18 years. Taylor: How do you balance sports and academics at The Q? Tommy: If I don’t buckle down and do my school work, I can’t train; if I can’t train, I can’t run. If I talk mess to a correction officer (CO), I’ll be in ad-seg (Administrative Segregation) and can’t run… so, my focus is getting my school work done in doubles, just so I can train, which keeps me away from confrontations with staff. Taylor: Is it difficult navigating through the daily grind of doing time while seeking to better yourself? Tommy: When I get up, I spend time with God every morning for the past 17yrs, Daily Bread and Jesus Calling. Then, I write my wife, every day for the past 17yrs; I let her know, every day what I’m doing and how I’m doing it. In marriage, one must communicate with the spouse, so I talk to my wife everyday through the mail. Taylor: What Self-Help groups are you in and which one has had the most impact on changing how you view your old self? Tommy: Alliance For Change, Restorative Justice, SQUIRES, KID-CAT (mentor), and Criminals and Gang Members Anonymous; At CSP-LAC, I was with C.R.O.P. (Convicts Reach- ing Out to People), P.A.P. (Prisoner Art Program), where we made art that we auctioned off, with 100% of the proceeds going to Battered Women and Abused Children programs, as well as Veterans and California Fire Fighters. CGA is having the most impact because the 12-Steps within the program and my mentor (Tony); he may be Black, but he speaks my language and he’s just like me, so he’s guiding me through what it takes reach within and be my authentic self. Tommy: Without The Q, I had to live by yard rules only; we have the Title 15 (California Codes of Regulations, Title 15, Div. 3 Crime Prevention) and you have Yard Rules. I didn’t care about the Title 15, I only cared about yard rules. I didn’t care. Since arriving at The Q, the racial politics are all but nil, so many of the yard rules I’d been used to no longer applied, which gave me the freedom to be my authentic self… you have to go through something to get to The Q, and many don’t appreciate the journey. I do. My wife died in a car accident in 2004. You know (catching his breath, pausing to gather himself)… it forced me to do some deep introspection; it forced me to be a good parent because I had a son. I couldn’t be a good parent from prison doing what I was doing. Taylor: What sports are you involved in? Taylor: You get the chance to speak to your 14 year old self again, one on one, what do you tell yourself? Taylor: Is there anything you’d like to say to the people that you harmed in the past?